It could be yet another pivotal weekend as the battle for promotion from the SSE Airtricity First Division heads into the final three rounds of matches. 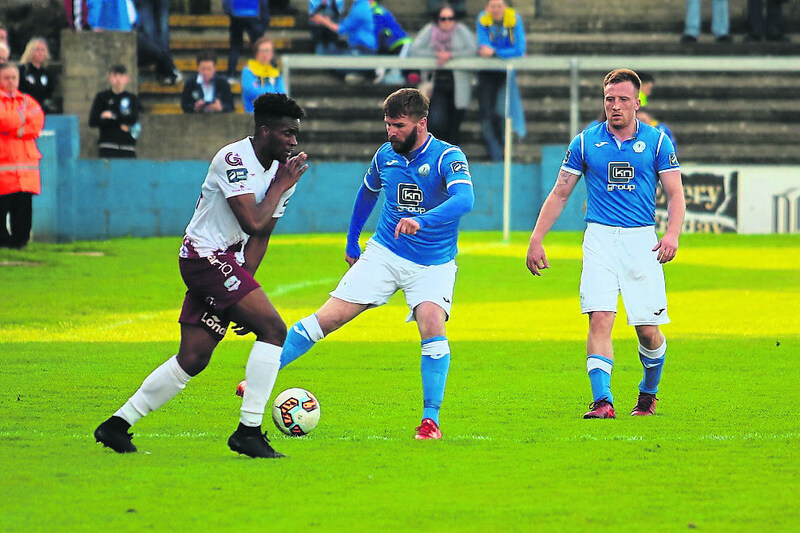 Finn Harps, lying in second spot, have two home games left, the first of which is on Friday night when they entertain Galway United at Finn Park. The Westerners, who sit two places outside the play-off positions, need to win to keep their faint hopes of a top-four finish alive. For Harps, a home victory would not only all but secure a play-off spot, but it could reignite the title race - if leaders UCD were to slip up in their game at Drogheda United. The Students, long-time leaders in this division, sit five points clear of Harps, but should results go their way tomorrow night, Ollie Horgan’s side could find themselves within two points of UCD. And just to add to what promises to be an exciting run-in, UCD will host Harps in Dublin in a fortnight’s time. Horgan is all too aware of the possible permutations that this weekend’s fixtures might serve up, but he insists his team have a job to do against Galway United before thinking on anything else. “I think you might say ‘you don’t look past Friday’,” he said. “If we get beaten on Friday and then have to go to UCD to try and get something to get fourth place, we’ll know all about pressure. “Whereas if we get a result against Galway, we’re probably looking up the table going to UCD thinking it’s a matter of what position we can get. Up until last Friday night’s 2-0 loss to Dundalk in the second round of the Irish Daily Mail FAI Cup at Oriel Park, Harps had gone eight games unbeaten and that included an opening round win at Bray Wanderers in the first round. They’re the form team in the division and on Friday night, they meet a Galway side who with only one win in their last four league games, have slipped off the pace. “They have underachieved and they’ll be trying to put that right on Friday night,” Horgan pointed out. “They’ve got serious players with the likes of Ryan Connolly, Mark Ludden, Robbie Williams and Eoin McCormick. They’re all Premier Division players. They played in the Premier Division and acquitted themselves very well. Ryan Connolly came to Ballybofey last year with Shamrock Rovers. Harps will welcome Sam Todd back into the squad this weekend. The Carndonagh defender missed last weekend’s game in Dundalk through suspension. And while the influential Paddy McCourt is unlikely to feature tomorrow night because of injury, the Harps squad is otherwise at full strength with Horgan happy to report no new injuries following the game in Dundalk. “It could have been a hell of a lot worse both on the pitch and injury or suspension-wise,” he said. The attentions now turn back to the ongoing battle for promotion and a busy night of games in the League of Ireland. A big crowd is expected at Finn Park and the hope is that Horgan’s men can maintain their excellent run of results in the league. Harps have beaten Galway twice already this season and those games included a 1-0 win for Horgan’s side at Finn Park in May when Jesse Devers struck late to give Harps a Bank Holiday win. Horgan said the fans can play their part as his team go in search of another win. “If ever we needed them, we need them now,” he said. “To be fair to them, on the road this past few weeks, they’ve been brilliant. In Dundalk and in Athlone they were there in their numbers and that was very favourable, but we need them at home too to support the kids - and they are kids that are out there. Friday night's game kicks off at 8pm.